Juvesiio Anti-Wrinkle Serum Review: Does It Deliver As Promised? In an increasingly health and youth conscious society, people are looking to extend longevity and personal vitality well into their senior years, more than any generation in the past has ever achieved. People staying young-looking and productive beyond their 60s and 70s are gradually being realized. More people in their 40s and 50s now are keeping their 20-something complexions, aren’t they? No, this obsession with health and wellness is not an assumption nor is it imagined. No less than the Global Wellness Institute has reported that the global wellness market is valued currently at $3.4 trillion, which is, according to the same report, about three times the worth of the pharmaceutical industry. What is this telling us exactly? People are spending on health and wellness, that includes beauty and anti-aging, and the market signals are telling analysts, people are willing to spend more. Perhaps that is why it is not unusual to see new market entrants, like Juvesiio, carrying a $125 price tag per bottle these days. You have to ask yourself, ‘what’s in it that makes it so expensive’? 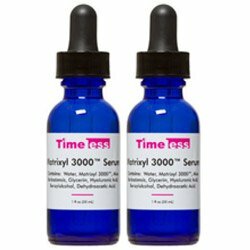 Well, in terms of its formulation, we only know about 4 ingredients in there, with the top ingredient being Matrixyl 3000, a rather basic ingredient commonly found in anti-wrinkle products. You also need to know that Juvesiio is prescribed for use on multiple signs of skin aging, that includes wrinkles and fine lines, hyperpigmentation, acne marks and age spots, to name a few. 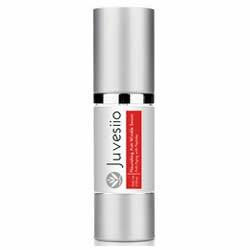 Like many other products, Juvesiio also proposes to deliver visible improvements to these skin issues by significantly raising moisture levels, the volume of collagen in skin, and the presence of antioxidants. 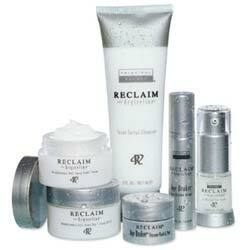 Cleanse skin thoroughly with a gentle cleanser. Follow through with a toner to clear pores of grime and impurities that allow product formulation to penetrate your skin more easily. Use product twice daily for best results. 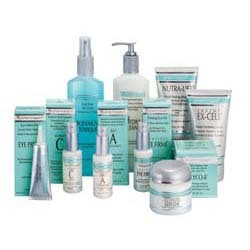 The four primary ingredients mentioned are well-known to benefit aging skin. Without a full list of ingredients, and a detailed explanation of how this product works to deliver on its claims, it is impossible to understand fully what this product can actually do. The absence of manufacturer information makes it even more difficult to establish credibility and accountability for product claims. As you, yourself become more willing to spend on products that help you attain better health and wellness, and more youthful skin even as you age, get smarter. Know exactly what it is you need, why you need it, and what solution you should take. Do you need Juvesiio?